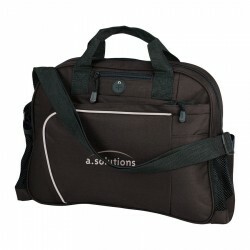 Promotional Satchels & Bags are appreciated and conference promotional items. 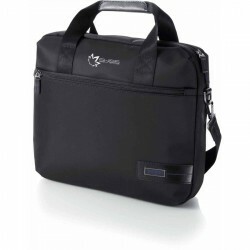 Make your staff and employees look every bit the professional with these branded conference satchels and bags. 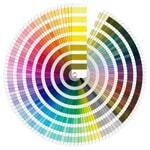 Not only are they practical corporate merchandise but they are also quite popular as tradeshow giveaways during these conventions and tradeshows for their many uses. 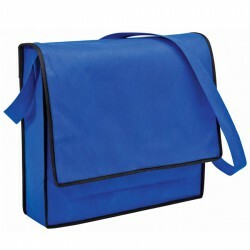 The collection of printed conferences satchels and bags at Promotional Product Experts features different styles including custom couriers, messengers and heavy duty conference bags, all custom printed with your corporate brand name or logo. 100% recycled PET fabric. Front flap secured by two side release clips. Zippered main entry under flap. Accessories pocket inside. 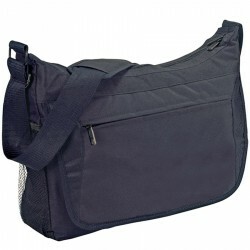 Wide webbing shoulder strap. Business card holder on back. 600D/300D polyester with PVC backing. Webbing carry handles. Zippered main compartment. Fits A4 notepad. Business card holder on back. 600D/300D polyester with PVC backing. Zip closure. Detachable wrist strap. Metal fittings. Business card holder on back. 600D/300D polyester with PVC backing. 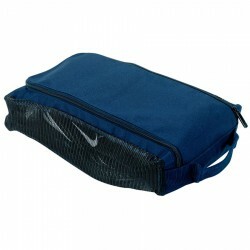 U-shaped single zippered main compartment with mesh sides. Wide webbing handle. Business card holder in back. 600D/300D polyester with PVC backing. Front flap has zippered front pocket and Velcro fasteners. 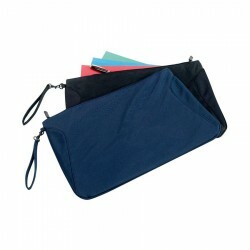 Organiser under flap contains: 3 pen holders, 2 elastic pockets, slip pocket and dog clip for keys. Double zippered main compartment. Adjustable shoulder strap with pad. Business card holder on back. Metal fittings. 600D polyester. Front slip pocket. Elasticised top mesh side pocket. Webbing carry handles. Exterior webbing pen loops. Adjustable webbing shoulder strap. Trolley sleeve on back. Business card holder on back. Baseboard included. 600D textured polyester. Curved double zippered closure. Contrast panel on top of bag. Carry handle matches main bag colour. Main compartment has small nylon zip pocket inside. Business card holder on back. 600D polyester with PVC backing. 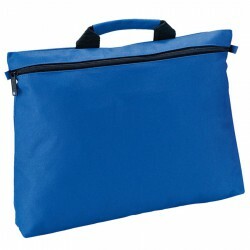 Large main zippered compartment. Front flap has large zippered pocket. Zippered valuables pocket inside main compartment. Single side release closure. Mobile phone pocket on side. Adjustable shoulder strap. Mesh business card holder on back. 51% PET/49% polyester. Front flap secured by two side release clips. Reflective piping on front flap. Single zippered main compartment. Webbing shoulder strap. Business card holder on back. 51% PET/49% polyester fabric. Single zippered main entry. Reflective piping feature. Webbing carry handle. Business card holder on back. 600D polyester with PVC backing. Single zippered main compartment. Business card holder on back. Detachable, adjustable shoulder strap. Mesh side pocket. Webbing carry handels. 600D textured polyester. Full width zippered pocket on front. Wrist strap threads through metal eyelet. Business card holder on back. 600D/420D fabric. Feature double row stitching on front flap. Contrast colour lining under front flap with basic organiser. Adjustable webbing shoulder strap. Business card holder on rear. 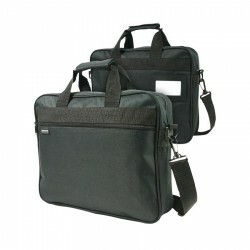 600D/420D polyester, Feature double contrast stitching on front flap, Contrast colour lining under front flap, basic organiser with 3 pen holders under front flap, Adjustable shoulder strap, Business card holder on back. Quality light microfibre. Polar fleece lining. Zip closure with silver puller. Silver fitting to hook onto golf bag. Rubber mesh back. 600D polyester. Front flap secured by a side release clip. Front asymmetrical zippered valuables compartment. Elasticated top mesh side pocket. Double zippered main compartment. Slip pocket under front flap. Carry handle. Adjustable webbing strap with shoulder pad. Business card holder on back. 80gsm non-woven polypropolene. Black bound seams. Shoulder strap. 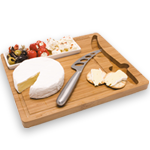 Flap over is double thickness. 600D polyester with PVC backing. Side mesh pockets. Top carry handle. Front flap is secured by Velcro. 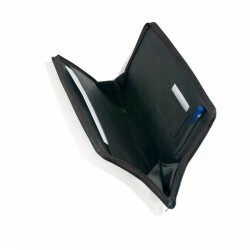 Basic organiser under front flap. Zippered main compartment. Internal valuables zip pocket. Adjustable shoulder strap. 600D/420D fabric. 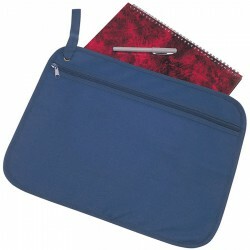 Front double zippered pocket contains elastic organiser. Webbing carry handles with Velcro wrap. Side pockets for valuables. Double zippered main compartment. 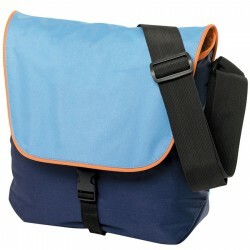 Removable, adjustable webbing shoulder strap. Business card holder on back. 600D/420D polyester. 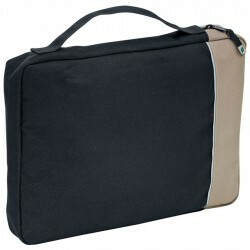 Right side zippered pocket contains an organiser. 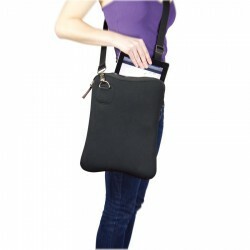 Left side zippered pocket contains a mesh mobile phone pouch. 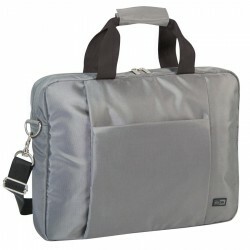 Double zippered main compartment contains CD/MP3/Ipod pouch. Rubber eyelet for earphones. Webbing carry handle. Adjustable webbing shoulder strap. Business card holder on back. 300D polyester with PVC backing. Double zippered main compartment. Single zippered hidden front pocket with storm flap. Slip pocket on back. 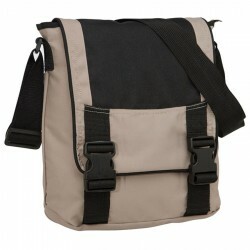 Adjustable high density webbed shoulder strap. 600D polyester with PVC backing. Padded main compartment. Tapered shape front flap. Front zip pocket under front flap contains organiser. 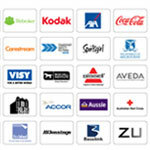 Feature logo pullers. Front flap secured by single side releaseclip. Internal padded slip pocket. Extra wide high density webbing adjustable strap. 600D/300D polyester. Front flap has concealed zip and is secured by plastic side release clip. 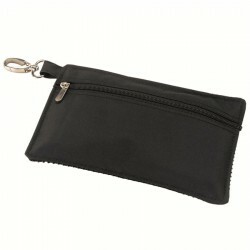 Organiser under flap includes: 3 pen pockets, 2 elastic pockets, a slip pocket and a dog clip for keys. 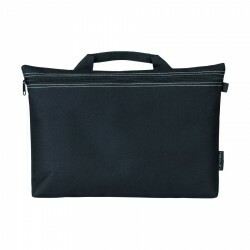 Fits B393 laptop sleeve. Adjustable, padded shoulder strap with pad. Business card holder on back. Metal fittings. 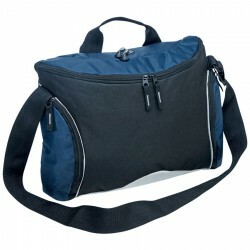 1000D nylon padded satchel, two zipped front pockets, matt silver fittings and adjustable/removable padded shoulder strap. 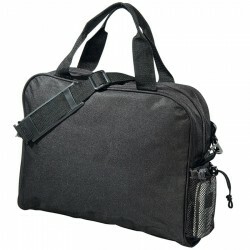 Gunmetal 500D jacquard nylon with black trims, one main zipped compartment, zippered outer pocket, with organiser and removable shoulder strap. 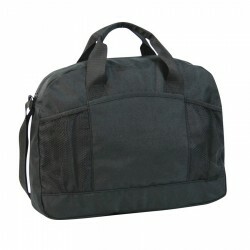 600D Polyester conference bag with single handle, zipper closure and pen loop on the outside and inside of the bag. 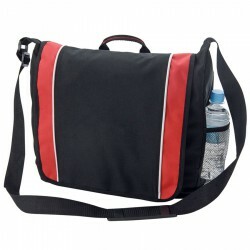 600D polyester curved zipped satchel with adjustable shoulder strap, zipper closure, mesh side pockets, front zipper pocket, cord port for Ipod. 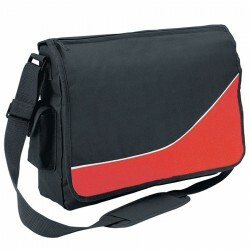 Quality 3.5mm thick black neoprene satchel with quality chrome fittings and flat wide nylon removable shoulder strap. Fits a 13.3 inch laptop or iPad. 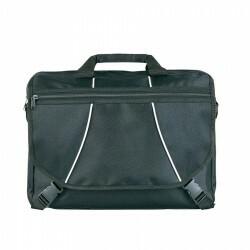 Trolley bag with spacious main compartment suitable for a 15,4" laptop with fitted document pouches. Adjustable trolley handle and additional separate zipped pockets. 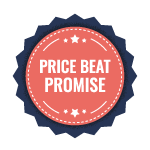 Includes laptop protector case. Microfibre. 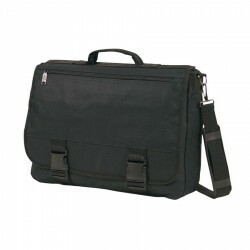 This slim brief allows you to take your business essentials everywhere. 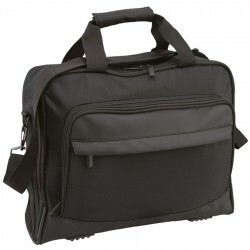 The bag offers a 15.4”laptop compartment and several compartments to store your documents and accessories. Microfibre. 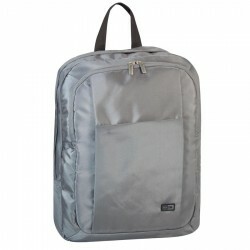 1000D nylon backpack with padded adjustable back straps, two zipped front pockets, two large main zipper compartments, multiple pocket organiser and matt silver fittings. 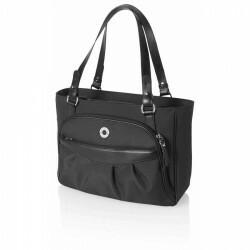 1000D nylon flap satchel, zipped front pocket, multiple pocket organiser, matt silver fittings and adjustable padded shoulder strap. 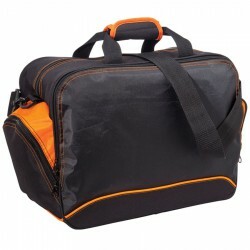 600D polyester satchel with adjustable shoulder strap, buckle closure, zipper front pocket, large compartment under flap and back pocket with velcro closure. Quality split leather zip round satchel with full lining. 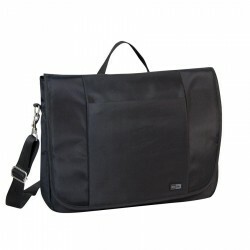 Features full zip closure, document sleeves, pen loop. Pen not included. 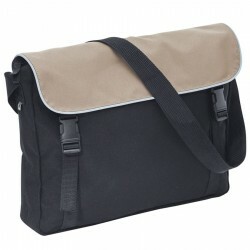 600D nylon front flap design satchel with large expandable main compartment, front zipped pocket, internal organiser and adjustable shoulder strap. 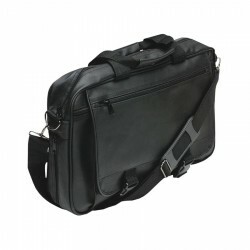 Premium koeskin front flap design satchel with multiple pockets, card holder, chrome fittings and adjustable shoulder strap. 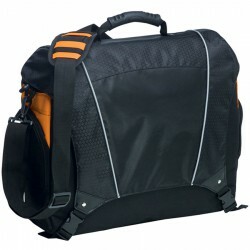 600D nylon with large internal compartment, zipped side pocket and adjustable shoulder strap. Made from 51% Recycled fabric, front mesh pockets for water bottle. Adjustable holder strap and large internal compartment. 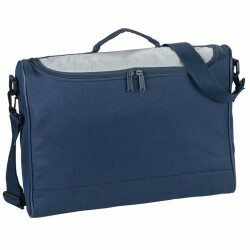 Conference bag with laptop compartment. 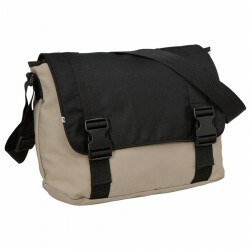 600D polyester shoulder strap and front organiser and moulded rubber handle. 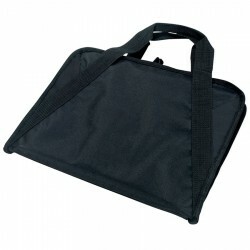 Document bag suitable for 15.4” laptops. Microfibre. 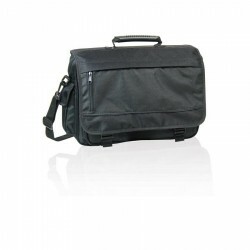 Large main compartment, Padded laptop compartment, Fits most 17" laptops, Organiser panel under front flap, Front zippered pocket, Side beverage/accessory mesh pockets, Fully adjustable comfort-slider shoulder strap, Padded back panel, Business card holder. 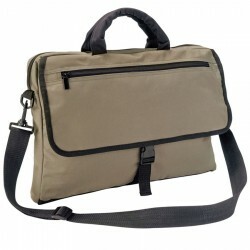 420D Nylon, Concealed main zippered compartment, Padded internal laptop pocket, Fits most 17" laptops, Concealed front zippered compartment, Internal slip pocket, Adjustable/Detachable shoulder straps, Business card holder. 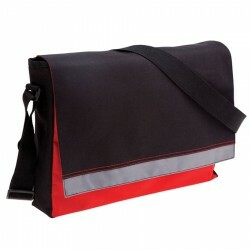 PVC Twill shoulder satchel, features include: Zippered main compartment, front flap secured by heavy duty side clips, zippered pocket on flap, pocket with velcro fastener, zippered pocket and mobile phone pocket under flap, carry handle, shoulder strap. 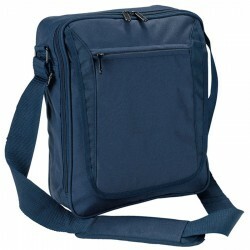 600D polypropylene, Curved zippered front, Carry handle, adjustable shoulder strap. 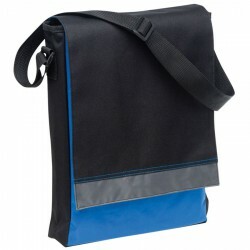 600D polypropylene, Front zippered compartment, Carry handle, Mobile phone pocket. 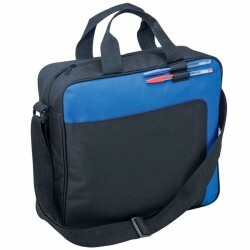 600D polypropylene 2 tone material, Clip flap opening with 2 internal zippered padded compartment, Mobile phone holder, pen holder & business pockets, Detachable shoulder strap. 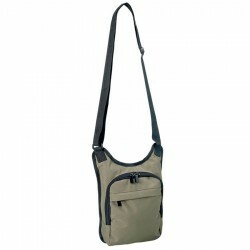 Top flap with hook & loop closure, Zippered front pocket, Carry handle, Adjustable shoulder strap. 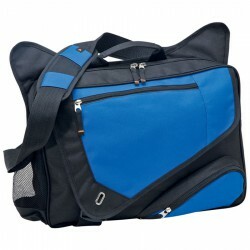 Zippered front compartment, Adjustable shoulder strap & carry handle, Side mesh pocket & velcro front flap. 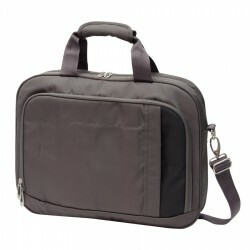 Zippered main compartment, Top flap with hook & loop closure, Zippered pockets, Accessory organiser, Adjustable shoulder strap.